"I had the good fortune to educate my children in island schools and served for many years on our school board. And, while North Haven is much bigger (350 year-round) than our neighbor Matinicus, I found that Eva's beautiful writing accurately captures the challenges and gifts of island life. What a wonderful book!" "On six remote, windblown Maine islands, the children are still educated in one-room schools. After two mainland one-room schools closed in 2009, these islands maintain the last taxpayer-funded public one-room elementary schools in the state. But despite very small student populations and sometimes shrinking communities, these remaining schools are not slated to close. Consolidation is impractical, a daily commute is usually impossible, island families are determined to keep their communities viable, and all agree that a school is a central part of a stable, year-round community. You might think that these tiny schools are an anachronism, offering an old-fashioned approach to education. You'd be wrong. They are among the most technologically savvy schools in the state and offer a culturally rich educational experience. 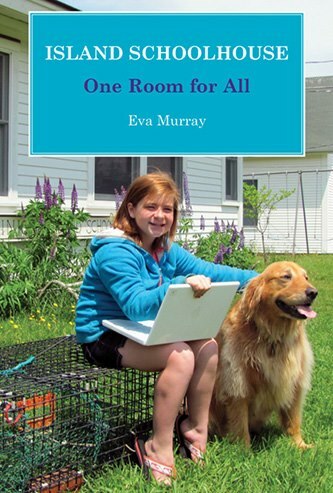 Author Eva Murray moved to Matinicus in 1987 to teach in the one-room school, married and raised a family on the island, and has served on the school board and volunteered in the school. She has traveled from island to island, collecting the stories that tell how these small communities promise their handful of children a modern education within the context of a specialized and sometimes extreme offshore lifestyle. The hows and whys will fascinate educators, and the details of island life will interest everyone." Copyright 2013 Eva Murray. All rights reserved.